Once the highest-ranking female in her military unit in Iraq, local veteran Jennifer Bayonne uses the skills she learned in the Army to care for her patients at Fresenius Kidney Care Natchitoches. As clinical manager, Bayonne cares for people living with end stage renal disease who require life-sustaining dialysis three times a week. 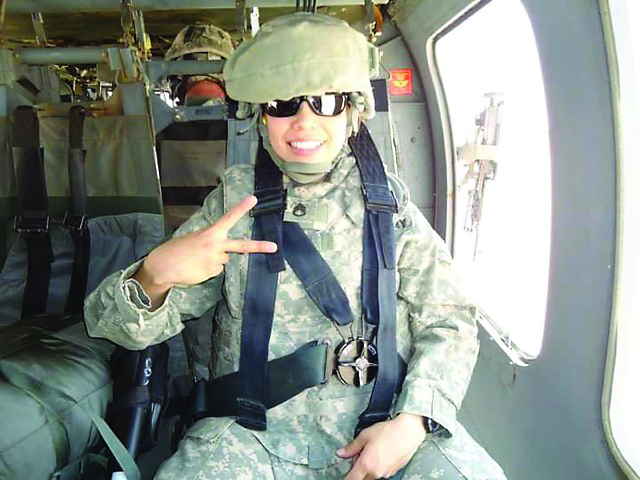 She understands that every day may be a battle for her patients and can empathize with them, as she faced a different type of battle when she was deployed. Her Army experience taught her to be appreciative, disciplined and fair, all qualities she credits for helping her manage one of Fresenius Kidney Care’s top clinics in the country, based on quality indicators. She shares war stories and photos with her patients, some of whom are also veterans, and helps guide them through dialysis like she guided her fellow soldiers overseas.